Deeply cleanses all skin conditions and is very economical to use. This deep purifying mask is ideal for oily, blemished skin, but may be used to deep cleanse all skin types, simply vary the length of time you leave it on. Nasturtium and witch hazel extracts in a base of clay, draw out impurities and reduce blackheads, leaving your skin clean and revitalised. Dr Hauschka Clarifying Steam Bath and Clarifying Clay Mask are intended to be used together and form a very effective skin care treatment that helps restore the skin's healthy balance and function. The preparation contains Clay-Earth, which has been used for centuries to treat skin conditions and for detoxification. Interestingly, Clay is reported to have a positive electrical charge and the impurities negative; it is thought that these polarities may actively assist in the drawing-out process. 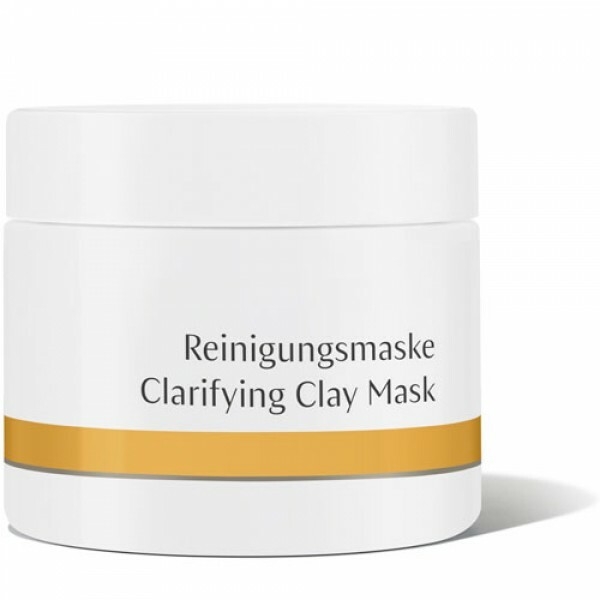 Clarifying Clay Mask is the new name for Dr Hauschka Cleansing Clay Mask, the formulation remains the same even though the packaging has changed.